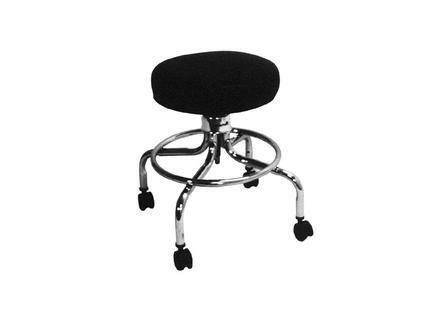 This Adjustable Height Stool is made of a 1" diameter chrome plated steel. For versatility within the department, the stool features precision machined screw height adjustment from 19" to 27". The cushioned 15" diameter seat is a plush 4" thick poly-foam for maximum comfort. 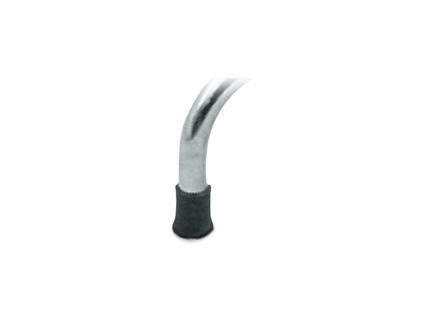 The vinyl upholstery is extremely durable and easy to maintain. Beneath the seat is a protective ABS plastic shroud for asepsis. The 4-legged stool sits atop a 19.5" diameter base with casters or rubber "tips" for added stability. Foot ring is standard.